Hi friends! Can you believe next week we'll be heading into May? Summer is on the way! I have been enjoying the warmer weather and so have the kids. 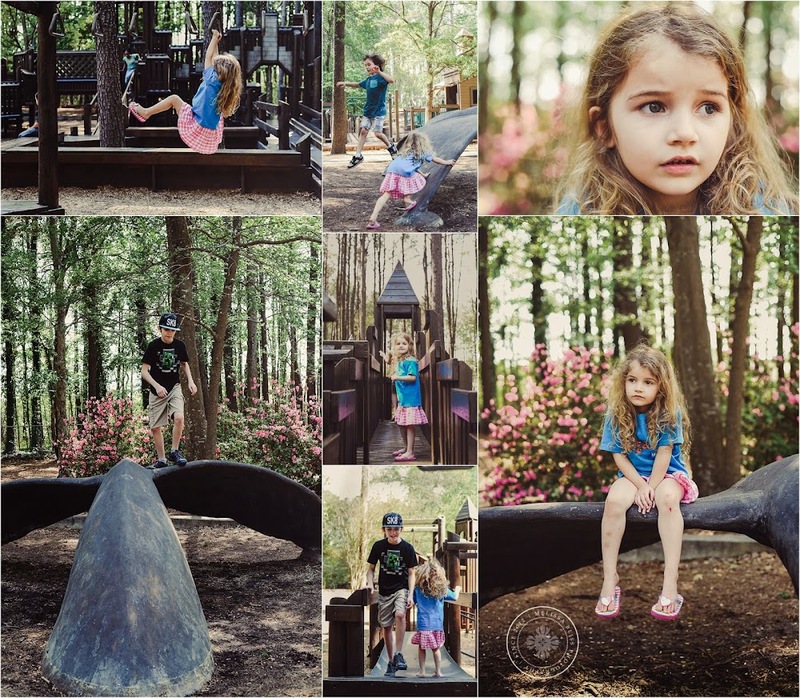 We took a jaunt to a local park this week, one that we haven't visited in quite a while, and it was so much fun to explore and play with the kids outside on a sunny afternoon. What a treat! Of course May means the beginning of wedding season, and several months of crazy ahead. I'm savoring the rare afternoon off when I can! That looks like plenty of fun...and what a bonus, too, that it wasn't crowded. you re killing me with the shorts!! FREEZING here in chicago this week!! 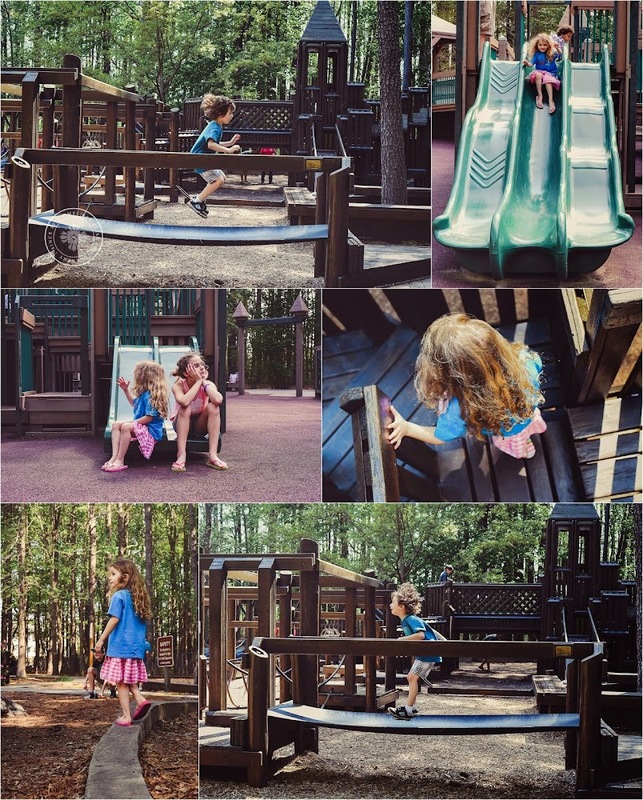 Great collection of photos--love the park! WOW - what a fun park - I bet they were exhausted that night. Hope you have a wonderful weekend my friend. Hugs!!! So many adorable faces! I would like to join the fun.